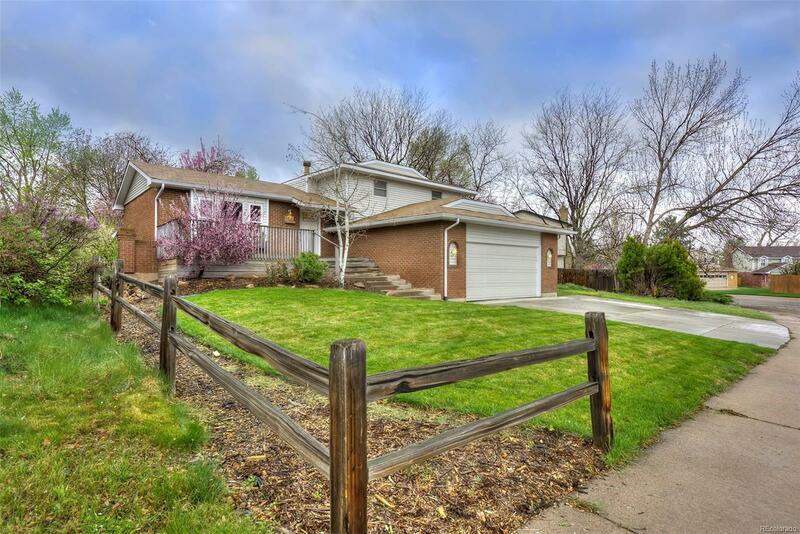 Completely renovated home on a great lot in Morrison with a finished basement! This four bedroom home offers a remodeled kitchen with quartz countertops and brand new cabinets throughout, as well as an open living/dining room. Upstairs you'll find the master bedroom with updated private bathroom, two additional bedrooms and another bath with dual vanity. The lower level offers a fourth bedroom, a 3rd bathroom, a family room with wood burning fireplace and sliding door access to the large backyard. The basement's spacious bonus room is great for entertaining or possible 5th bedroom! The well-maintained backyard is great for a BBQ w/ friends & family with its tall privacy fence and concrete slab covered patio. Additional updates include new paint throughout, a new hot water heater and boiler. Plus, new roof (scheduled for install 9/20), gutter & down spouts. Just two minutes from C-470 and 5 minutes to downtown Morrison's restaurants, shops & Red Rocks!